It isn’t just the warmth that has been so important in this ritual of building fires all these years, but the spirit of purification that comes with the burning and transformation of dead things. It is symbolized in the burning of a candle that not only lights but can combust and cleanse impurities in the air. Or a streak of lightning in the sky that flashes and slashes through density that needs to clear. The energy of burning destroys and at the same time transforms. How do we do this safely and with intention to heal? How do we allow what needs to happen…happen? I think about all the ways I have been aware of purification in the past few weeks, moving furniture and purging ‘stuff’, in yoga practice and studies, in the work of consciously clearing energetic imprints and old programming emotionally, and in the simple body cleansing practice of juicing. 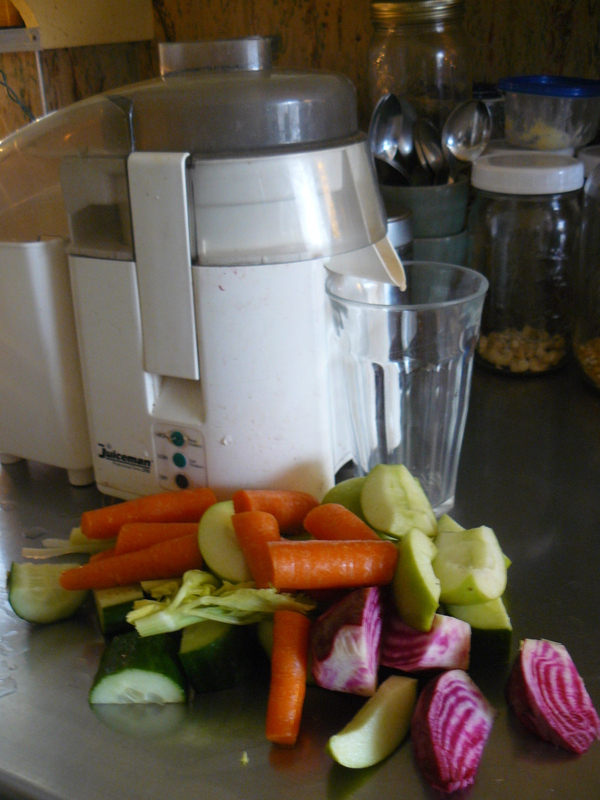 I haven’t used the juicer in a while and pull it out, rummage around the fruit and vegetable bins and come up with a pile of things that are sure to please. I set a tall 12 oz. glass under the spout and set the machine in motion with its loud characteristic whir. I have no idea whether I have cut up enough to fill the glass. 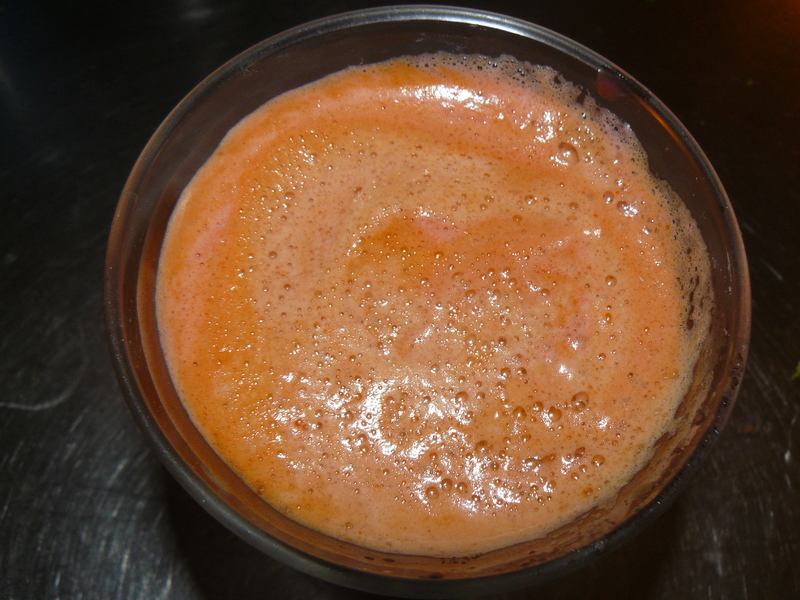 There is green apple, cucumber, beet, celery, and carrot. I’ll cut up more if I need to. 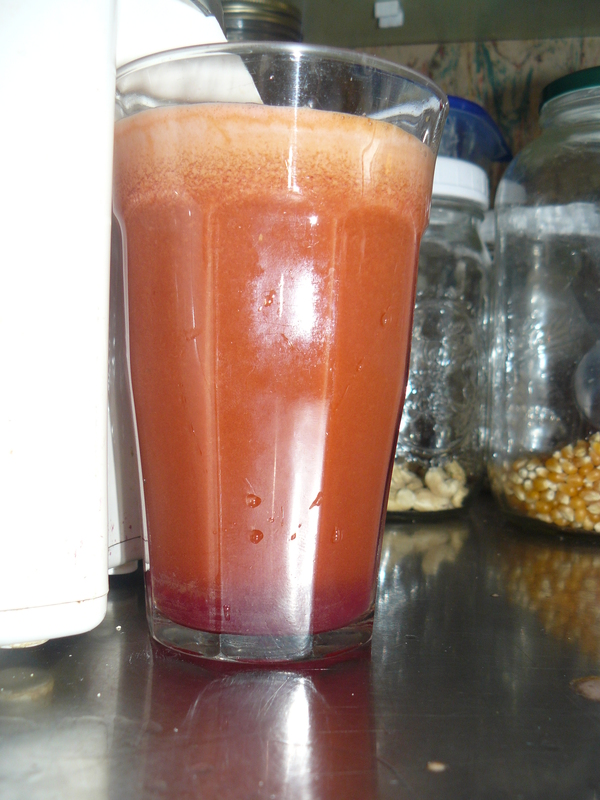 The machine is happy to be fed after all this time, and the juice flows easily into the glass. Just as the last piece is put into the funnel, I notice the glass is actually full! It was a perfect fit. The color is soft glowing orange, like the fire…. Another beautiful post Kathy, pulling together so many threads. Feeding your own fire with a purifying cleanse is exactly the inspiration I need to get myself off gluten — a seemingly impossible task! The sun moved into Aries on the equinox — seems you knew this at some level of your “tuned-in” being.